There's a brand new game for you to try at All Star Slots online casino called Lucky 6! The game is available to play from today, so download the free casino software today, or play instantly in your browser. See if you’ve got the luck of the Irish with this leprechaun themed, six reel game which gives you multiple win and bonus options. There are 10 paylines; lines 1 to 5 pay left to right and lines 6 to 10 pay right to left, except for the ‘LUCKY6’ scatter which pay both ways. Spinning 6 scatters gets 25 as well as the extra grouped wilds. Various combinations of the letters from the ‘LUCKY6’ scatter also get extra bonuses and extra prizes making this a very rewarding game and with a top award of 50,000 times the bet per line - you could really win big! 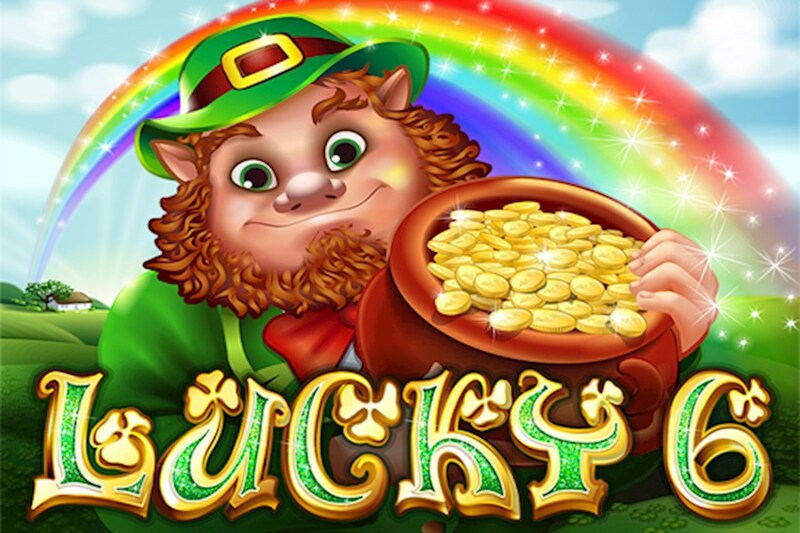 Lucky 6 is the latest game from leading games producer Realtime Gaming who already has over 150 to their name and follows titles such as Double Double Bonus Poker, Santastic and Bubble Bubble which have already proved popular at All Star Slots online casino. Download our casino software, or try an instant play game today where you can play for free and find the right game for you. Whether it is Lucky 6, or another of our games when playing for real money be sure to take advantage of our generous welcome bonus, where we will match your deposit by 100% up to $787. Also, we have daily promotions where you can get more deposit bonuses, free spins on games, cashback and other bonuses. For more information see our promotions page. We hope you find the leprechaun’s gold!